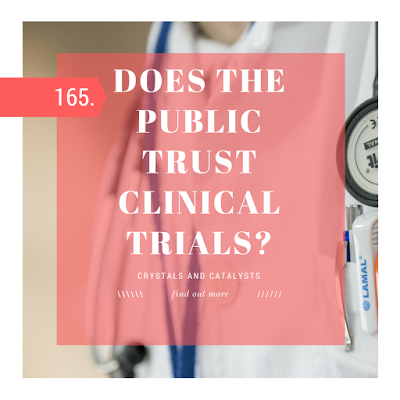 Does the public trust clinical trials? Whilst you're reading this, hundreds of clinical studies are taking place to find the latest breakthrough drug in diabetes, heart, immunological or rare diseases that only affect a handful of people but are debilitating. The results of these trials are being published monthly in medical journals, most with positive results; but to what degree can a member of the public trust the results of clinical trials; particularly those sponsored by big pharmaceutical companies? How much does the public trust clinical trials? 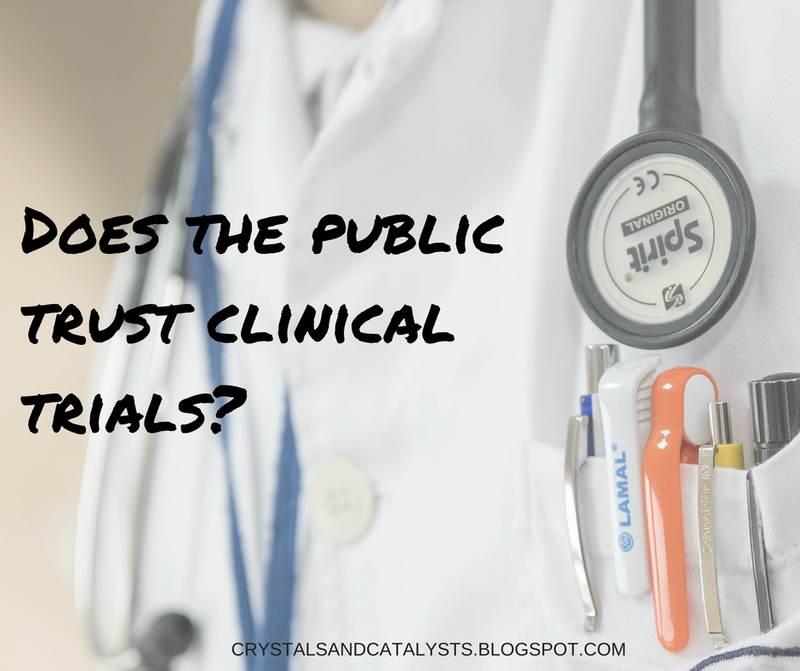 With the amount of work that is being done recently, public trust in clinical trials has been improving although not to the needed extent. 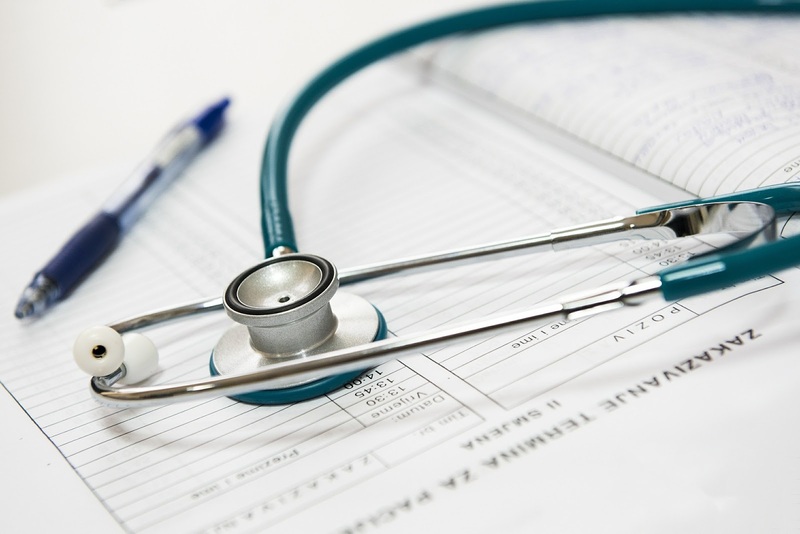 In 2013, a public survey conducted by the Health Research Authority (HRA) for the NHS, respondents had less confidence in health research studies undertaken by the pharmaceutical industry. In this survey, there were 1,295 adults aged 18 years or more from across England in 2013. Only 27% of participants in the survey said that they had increased confidence in clinical studies when knowing that pharmaceutical companies work closely with the NHS, whereas this factor did not have an impact on the other 61% of respondents. It’s well understood that pharmaceutical companies must make a big profit to ensure their company keeps on running and continuing to conduct a lot of clinical trials with amazing results that beat their competitors - which is why some members of the public feel that their results must be “too good to be true” and won't trust the results coming from a study conducted by a pharmaceutical company. However it should be known that there are regulatory authorities such as the FDA (US) and the EMA (EU) who have full access to all data from clinical trials (the good and the bad) and they decide which drug can make it to the drug market depending on the results of the clinical study and the side effects associated with the drug. 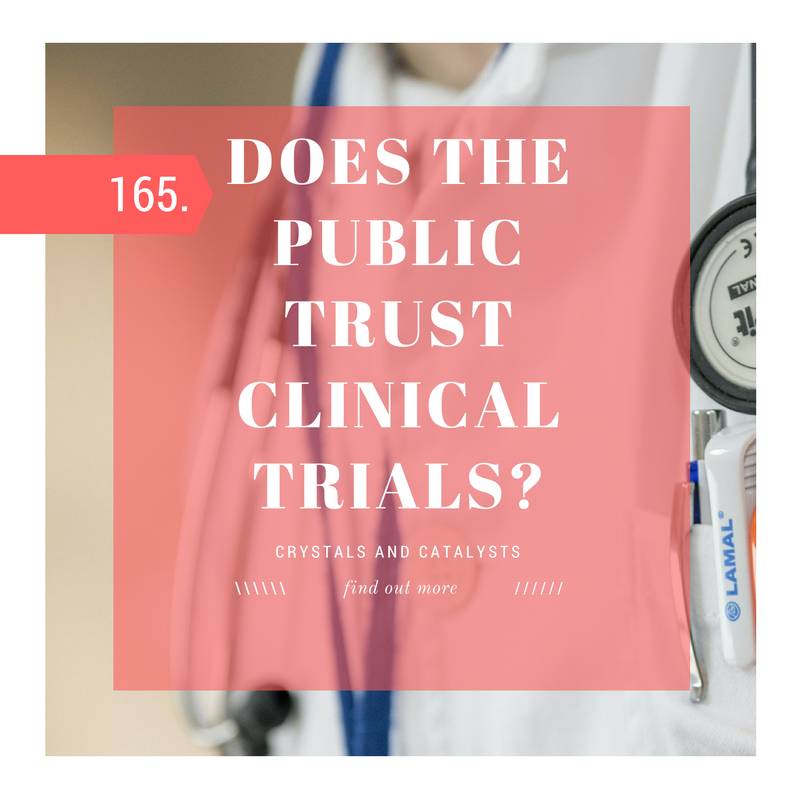 Another reason for the lack of trust between the public and pharmaceutical clinical trials is partly due to the fact that there is a lack of understanding of what the results of the clinical trials mean and how they affect the public. This goes back to how science is communicated and who it’s communicated to. 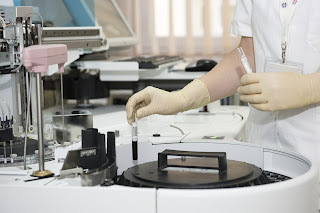 A research paper published in 2011 discusses the need for research to be published to the public without restrictions; stating that the “interests of the patients must override commercial interests”. The paper also discusses several issues that the drug industry has when it comes to data sharing, sharing the data may not solve all problems but it can “demonstrate many of the hidden flaws in the research process”. Other “flaws” discussed in the 2011 paper is the issue of pharmaceutical companies comparing new drugs to placebo instead of comparing them to existing drugs on the market to achieve better results. Selective reporting has also been an issue with many clinical trials, the benefits of a number of drugs have been overrated whilst the harms have been underrated significantly, this has lead to serious and negative consequences in the past for patients and many lives have been lost due to hidden adverse events. “For example, a class 1 anti-arrhythmic drug likely caused the premature death of about 50,000 Americans each year in the 1980s. An early trial found nine deaths on the drug and only one on placebo, but it was never published.”Gotzsche PC. 2011. Therefore sharing data is absolutely beneficial so that everyone, including the public, is well informed about what the true harms and benefits of new drugs are leading to fewer harms within healthcare research. 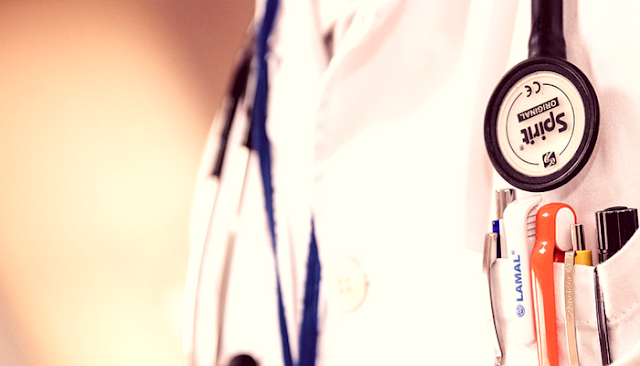 Not only that, data sharing also could reduce the amount of cheating in the industry and improve the efficiency of health care research and provide more reliable and meaningful data. Again, one of the most important factors is communication. Every person/figure/authority has to be able to openly communicate all data, the positive and the negative so that there is transparency and everyone benefits from the data. After all the issues I’ve discussed, it’s now time to discuss the solutions that have been implemented which aim to increase public trust in clinical studies. Registering a clinical trial is the most important factor for the acceptance of a clinical study being published in a reputable journal. In response to the action that WHO have taken, the International Committee of Medical Journal Editors (ICMJE) agreed to not publish the results of any clinical study unless it has been registered in a public register before the enrolment of the first patient. Now the majority of trials are registered in Clinicaltrials.gov (this is one of main open clinical trials registers). On 3rd October 2016, ClinicalTrials.gov currently lists 226,788 studies with locations in all 50 States (USA) and in 191 countries. Not only does registration allow the distribution of information among clinicians, researchers, and patients, it also acts as a reassurance blanket for clinical trial participants that their participation and their results will become part of the public record for public benefit. Would a member of public participate in a clinical trial? but 77% of all respondents would be confident about taking part in a health research study if they knew that it had been reviewed by a Research Ethics Committee. So although there is a degree of hesitancy, this doesn’t prevent people from agreeing to participate in clinical studies. 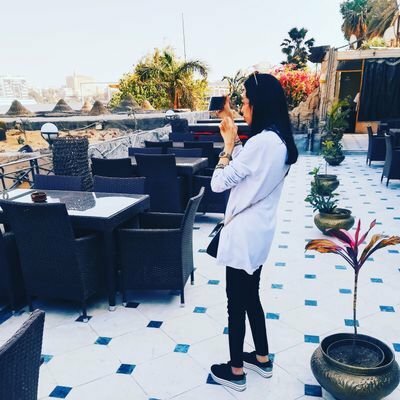 To conclude this three-page blog post; even though previously there has been many issues which have resulted in public distrust in clinical trials, new initiatives and new rules and regulations are being implemented for public interest and well-being and to increase the transparency between pharmaceutical accompanies, institutions and the public. Would you participate in a clinical trial/study? Fascinating question. I and other people I know have participated in clinical trials, so we at least don't lack trust in being involved in them. I guess you mean more, do people trust the results? I think this is a question that can go extremely deep. Do you think people *should* trust them? Yes, I believe that is a much better way of rephrasing the question and what I was aiming for in my post. This topic can extend itself across a series of posts due to the multiple factors that go into it. My experience in medical communications has given me a great insight into clinical trials and the extensive regulations processes that ensure the right drugs make it to market, which makes me believe people *should* trust the results of clinical trials.